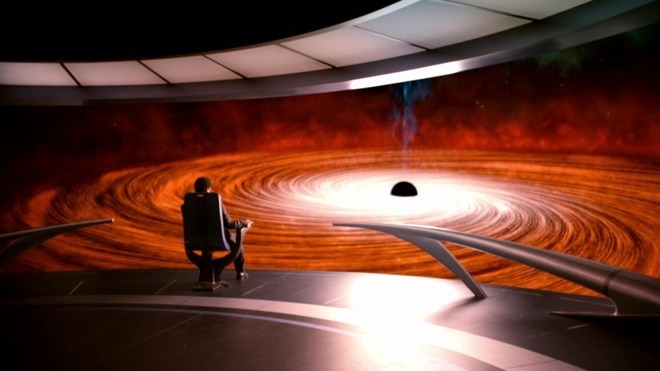 Cosmos: A Spacetime Odyssey, one of the shows Tuinier handled at Fox. Tuinier will oversee projects like an upcoming sketch comedy show starring Kristen Wiig, TBI Vision said on Monday. She's expected to report to head of development Matt Cherniss. At the Paramount Network —launched just 11 days ago —Tuinier was the VP of development and original programming. Before that she was a programming director at Fox, with credits such as "Bob's Burgers," "Cosmos: A Spacetime Odyssey," and "New Girl." The Worldwide Video division has been growing at a rapid pace, including not just new executives but significant real estate investments. Apple is expected to debut a small slate of high-budget TV shows in 2019, available to anyone with a compatible device, instead of just Apple Music subscribers as with earlier, low-budget shows like "Carpool Karaoke." The company could distribute material through the "TV" app for iPhones, iPads, and the Apple TV. Several other planned shows include a morning show-themed drama with Reese Witherspoon and Jennifer Aniston, a reboot of Steven Spielberg's "Amazing Stories," and a documentary series on unusual homes. Apple is also allegedly battling HBO for the rights to a sci-fi drama by "Lost" and "The Force Awakens" luminary J.J. Abrams. The company presumably wants to fortify its position against other tech rivals, particularly Amazon, which likewise offers hardware and original TV shows. Sales of iTunes video are sitting in the shadow of subscription streaming services.